The Welsh Wire features moderator Mike Rogers and professional recruiting expert Sheri Welsh in this weekly podcast. Listen in as leaders from a wide array of small to mid-size west Michigan companies weigh in and share their experiences and insights on a variety of business topics, including employee retention challenges and recruitment success stories. 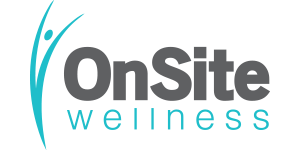 In this week's show, Sheri talks with Amy Ritsema, co-owner of OnSite Wellness in Grand Rapids, about the recruitment and retention benefits of having a wellness program for your small business.